Madeline Weinstein may be all over the news right now for her standout role as Claire in 'Alex Strangelove' but she has been acting for years. Find out her age, height and what else she's been in here. 1. How old is Madeline Weinstein? Madeline Weinstein was born on October 3rd in 1990. She is 27 years of age. 2. How tall is Madeline Weinstein? Madeline Weinstein is 5 feet 4 inches tall. This is 1.63 metres. 4. Where is Madeline Weinstein from? Madeline Weinstein was born and grew up in New York in the US. She studied at Northwestern University and graduated with a BA in theatre. 5. Who plays Claire in Netflix's 'Alex Strangelove'? Madeline Weinstein stars in Netflix’s new teen drama ‘Alex Strangelove’ as Claire. Claire is an intelligent, witty high school student who dates the lead character Alex. Claire and Alex are the perfect couple except for one thing. Alex is gay and he hasn’t accepted it yet. 6. Is Madeline Weinstein friends with the ‘Alex Strangelove’ cast? While filming ‘Alex Strangelove’, Madeline Weinstein became friends with Daniel Doheny, Antonio Marziale and other members of the cast. You only need to scroll through Madeline’s Instagram account to see how close they are. 7. Is Madeline Weinstein related to Harvey Weinstein? Despite the shared surname, Madeline is in no way related to or connected to Harvey Weinstein. 8. Does Madeline Weinstein have any pets? Madeline is a self-confessed cat lady. She has (at least) two adorable cats (Sam and Hal) who make regular appearances on her Instagram feed. She also has a dog named Simba. 9. Is Madeline Weinstein a feminist? 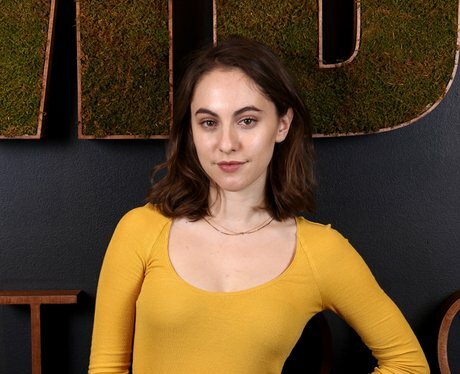 Madeline Weinstein is a feminist and often uses her platform as an actress to promote equality and campaign for women’s rights. 12. Madeline Weinstein made her Broadway debut alongside Maggie Gylenhall in ‘The Real Thing’. Madeline Weinstein was part of the ensemble cast of the 2014 Broadway production of Tom Stoppard’s 'The Real Thing'. Maggie Gylenhall, Ewan McGregor and Cynthia Nixon also starred in it. 13. Is Madeline Weinstein on Instagram? Madeline Weinstein uses Instagram regularly. You can follow her on @maddierosew. 15. What is Madeline Weinstein going to star in next? Madeline Weinstein is one of the leads in the new sorority based web-series ‘KAPPA FORCE’. She will play the role of Jen Silver.